Dr. James LaPolla, Jr. DPM and the Howland Health & Wellness Committee will be sponsoring a sock giveaway on Friday, August 11 when the Scrappers take on the Staten Island Yankees at Eastwood Field. The first 1,000 fans will receive a pair of Scrappers branded socks. 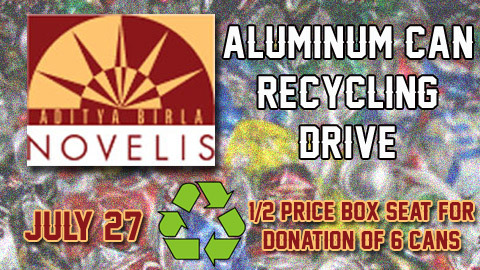 Anyone who brings in a canned food donation will also receive a free ticket voucher for an upcoming Scrappers game. All donations will go directly to the Bolindale food pantry inside of The Boldindale Christian Church (2749 Fairview Ave. SE, Warren, OH 44484). The food pantry at The Bolindale Christian Church serves 60-70 families twice a month. According to the 2008-2013 U.S. Census Bureau, 31.2% of the residents of Bolindale live below the poverty level and 54.3% are receiving food stamps. The Bolindale community is also a focus of the Creating Healthy Communities initiative spearheaded by the Trumbull County Combined Health District. Grant monies were used to purchase additional lighting to improve the safety and visibility of the park and upgrades have been made to the park by repairing playground equipment and adding several pickleball courts. The goal of the Howland Health and Wellness Committee is to promote healthier lifestyles and workplaces in the township. The Township has received the Healthy Ohio Healthy Community award from the Ohio Department of Health in 2015 and 2016. For information regarding the committee contact Township trustee Dr. James LaPolla at james.lapolla@howlandtownship.org. There will also be a post-game firework show following the game on August 11. The Scrappers and Talmer Bank and Trust present the sixteenth annual “Trick or Treat” at Eastwood Field, with media partners 21 WFMJ, WBCB, and Hot 101. The event will take place Wednesday, October 22nd from 6:00pm to 8:00pm. 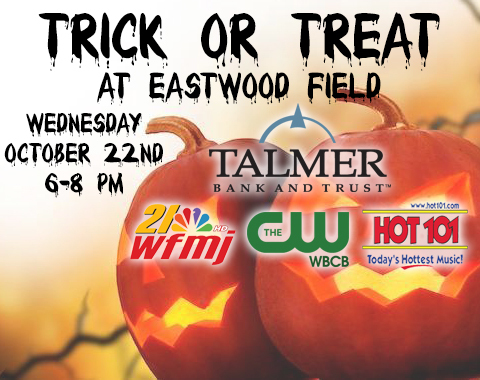 “Trick or Treat” at Eastwood Field is a fun and safe way to celebrate Halloween for children age 12 and under. Ticket quantities are limited and are available on a first come first served basis. Children and adults will require a ticket. Tickets are just $1 each and are available starting Monday, September 29th at the Scrappers Team Office located at Eastwood Field. In addition, anyone that donates canned goods at the “Trick or Treat” event for Project Feed Our Valley will receive a free general admission Scrappers ticket valid during the 2015 season. The Scrappers are looking for area businesses to participate in this year’s “Trick or Treat” event. Businesses will receive table space on the Eastwood Field concourse. This is a community event and a great way to promote your business to the public. Early reservations are encouraged as space is limited. 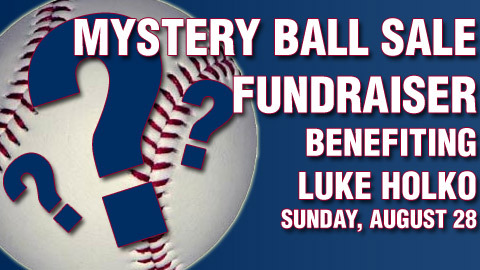 Please contact Annie Stoltenberg for complete details by calling 330-505-0000 or emailing astoltenberg@mvscrappers.com. The Class-A Short-Season New York-Penn League and its member clubs are proud to announce that the league’s philanthropic arm, the NYPL Charitable Foundation, will once again award over $10,000 in scholarships this summer to deserving high school graduates from the league’s 14 markets. Now in its sixth year, the 2014 NYPL Scholarship Contest is open to any graduating senior from a public or private high school within the league’s footprint. Any student who has been accepted at a two or four-year college or university, vocational school, or technical education institution is eligible. Applicants will be judged based on academic performance, volunteer and extracurricular activities, and the impact their local NYPL club and Minor League Baseball have had on their lives. The scholarship contest will consist of two stages – a local round and a divisional round. In the local stage, students will apply directly to their local NYPL team, with one applicant chosen by each of the 14 teams to advance to the divisional/final round. The 14 finalists will then be separated by the division of the team they represent. The winning application from each of the NYPL’s three divisions (McNamara, Pinckney and Stedler) will receive the top prize of a $2,500 scholarship. All other finalists will receive a $250 book award. 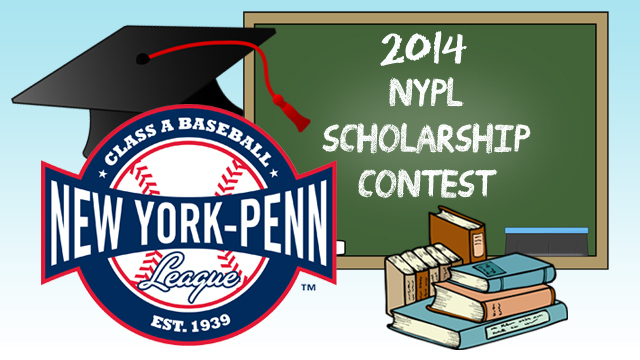 High school seniors interested in entering the 2014 Scholarship Contest can obtain the official application from their local NYPL club, or by visiting the league’s official website, New York-Penn League.com. The deadline to submit applications to the nearest NYPL team is June 27, 2014. Each club’s winner, including the three $2,500 scholarship recipients, will be selected in late July and honored at a game in August. This article originally appeared on the official website of the Aberdeen IronBirds. Click here to view the original story. This season, the Scrappers and Krinos Group, a Family of Financial Services, have partnered together to honor upstanding members of our community who have shown the qualities associated with being Scrappy; resiliency and a determined spirit. Fan are encouraged to nominate members of the community who encompass these traits and the selected nominees will receive four all inclusive seats in the Mr. Rooter Diamond Club. A different winner will be honored during each 2014 Scrappers home game, courtesy of Krinos Group. All ages will be considered. Fans recommending nominees should provide a brief overview of why the nominee should be selected as well as contact information for both the nominator and the nominee. The form may be downloaded here. 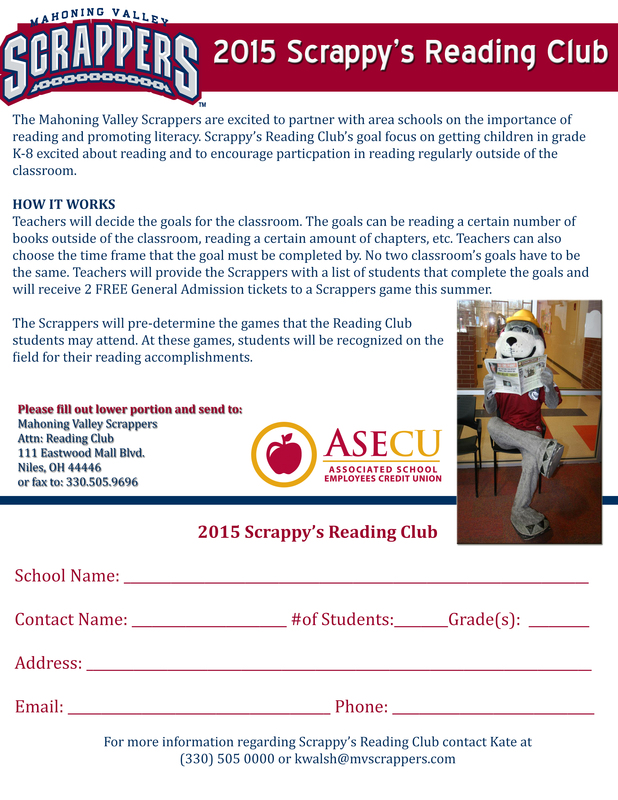 Nominations can be emailed to astoltenberg@mvscrappers.com or sent to the Mahoning Valley Scrappers, 111 Eastwood Mall Blvd, Niles, OH 4446 Attn: Annie Stoltenberg. Nomination forms are available at www.mvscrappers.com. 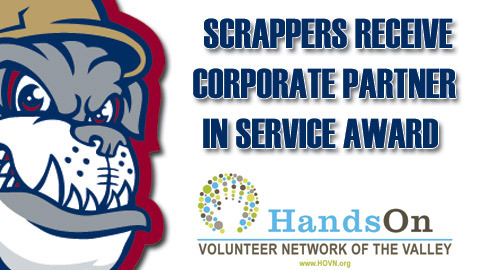 The Mahoning Valley Scrappers have been chosen to receive the HandsOn Volunteer Network Corporate Partner in Service Award. The award recognizes a corporation that has demonstrated a commitment to the Mahoning Valley by promoting corporate responsibility through financial resources and extensions of service opportunities to its employees. The Corporate Partner in Service Award recipient has had measurable impact on local organizations by a commitment to service through corporate engagement programs and the philosophy of giving back to the Mahoning Valley. Scrappers General Manager Jordan Taylor states, “The Mahoning Valley Scrappers are honored to have been chosen as the 2012 recipient of the HandsOn Volunteer Network Corporate Partner in Service Award. One of the primary goals of the franchise is to play an active role in the community through donations and community involvement of our Front Office”. HandsOn Volunteer Network awards will be presented during the HandsOn Volunteer Network Awards Celebration on Thursday, November 8, 2012 with a dinner and program at the Avalon Golf and Country Club, Squaw Creek, beginning at 5:30pm. Call the HOVN office at 330-782-5877 to make reservations. Tickets are $30 per person. Season tickets for the 2013 Scrappers season are now on sale. Contact the front office at 330-505-0000 for more information. 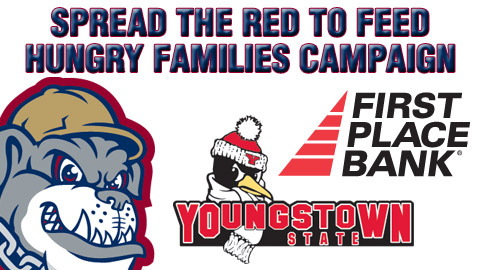 The Mahoning Valley Scrappers have teamed up with YSU Football and First Place Bank to help feed the hungry families of our Valley. Together these three organizations will use this partnership to help Valley families who are struggling to keep food on the table. On Thursday, October 27th from 6:00pm-8:00pm the Scrappers are hosting their Annual Trick or Treat Event at Eastwood Field. Tickets are just $1 each and are available now at the Scrappers Team Office located at Eastwood Field. That evening, the Scrappers and First Place Bank are asking families to drop off canned or boxed food donations to help feed the hungry families in our Valley. The first 500 people that bring in a perishable food item and drop it off at the First Place Bank table will receive a free First Place Bank cinch bag. “We are happy to partner with YSU football and First Place Bank at this event to make sure that we continue the effort to fight hunger in the Valley”, stated Jordan Taylor, General Manager of the Mahoning Valley Scrappers. “The First Place Bank team will continue to find ways to help put food on the tables of hungry families right here in the Mahoning Valley”, stated Steve Lewis CEO First Place Bank. “We hope that Valley residents will join us the week of October 31st through November 4th and stop by one of our branches to make a donation,” he concluded. About First Place Financial Corp.: First Place Financial Corp. is a $3.1 billion financial services holding company based in Warren, Ohio, with two wholly-owned subsidiaries: First Place Bank and First Place Holdings, Inc. Through First Place Bank, the Company operates 41 retail locations, 2 business financial service centers and 24 loan production offices. Wholly-owned subsidiaries of First Place Holdings, Inc. include First Place Insurance and Title Works Agency, LLC. Additional information about First Place Financial Corp. may be found on the Company’s web site: www.firstplacebank.com. The Scrappers and Buckeye Online School for Success present the thirteenth annual “Trick or Treat” at Eastwood Field, with media partners 21 WFMJ, WBCB, and Mix 98.9. The event will take place Thursday, October 27th from 6:00pm to 8:00pm. 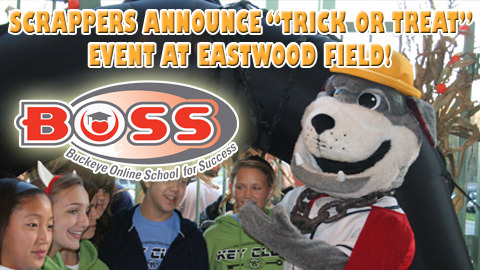 “Trick or Treat” at Eastwood Field is a fun and safe way to celebrate Halloween for children age 12 and under. Ticket quantities are limited and are available on a first come first served basis. Children and adults will require a ticket. Tickets are just $1 each and are available now at the Scrappers Team Office located at Eastwood Field. The Scrappers are looking for area businesses to participate in this year’s “Trick or Treat” event. Companies that are involved will receive a free table and banner space on our concourse. The participating businesses may pass out information and decorate their table however they choose. We are allowing distribution of items and flyers, however we ask that no registration sign-ups or contests be held. You are welcome to invite employees from your company to represent your business. If this is not possible, volunteers are available that can assist you. In addition to your materials, we ask that your company provide candy for an estimated 2,000 children. This is a community event and a great way to promote your business to the public. Please contact Heather Sahli at the Scrappers office by Friday, October 21st if interested. Space is limited and is available to the first 30 companies who reply. 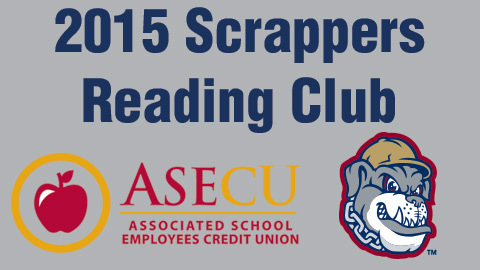 For further information, contact the Scrappers team office at 330-505-0000.